Is is possible to have too much chocolate? In a word, oui! 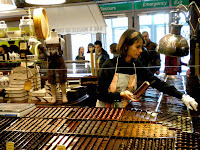 I went to the Salon de Chocolat in Paris last week and found it to be boring. I love chocolate, but it turns out that there are only so many things to do with it, and there is little regional or even national variation. So what you are left with is a huge number of displays by chocolate makers from France and all over Europe, most of which look like what you'd see at their shops or even at the big department stores. The saving grace is that you do get a lot of free samples. My big discovery was not chocolate, but rather an artisan pain d'épices maker from Aix-en-Provence, whose pain d'épices was the best I have ever tasted. Light (for this kind of mostly-honey cake) and incredibly perfumed, especially the orange, which I favored over the plain or the chocolate-flavored. I brought a chunk, cut from an enormous boule, to a friend the next day and she confirmed my high opinion as we gobbled it down for dessert. My advice for chocolate lovers. 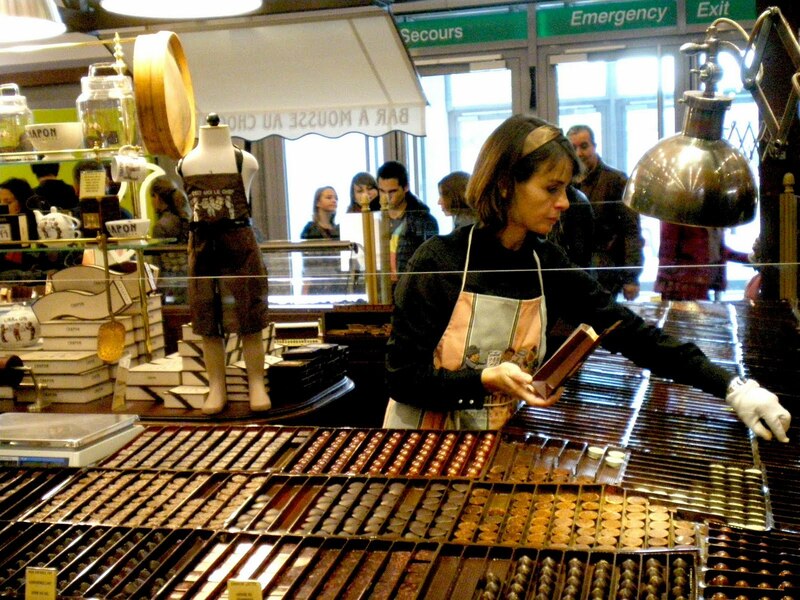 Spend the 12.50 euros on chocolate, not admission to the Salon de Chocolat.